The Klingon/Starfleet cross-cultural exchange program continues with Commander Kurn of the Klingon Defense Force serving a short stint as first officer aboard the Enterprise. But everyone is in for a surprise: Kurn is secretly the brother of Worf. 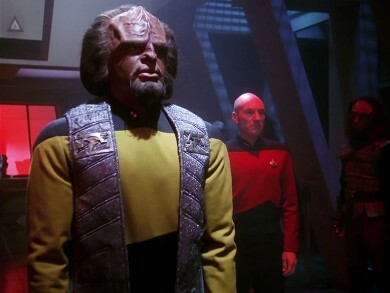 He has come to tell Worf that their father has been deemed a traitor by the Klingon Empire. Now the entire crew of the Enterprise has one mission – help Worf clear the name of the house of Mogh. Either that or Worf dies. Courtroom drama meets palace intrigue when we put Sins of the Father in the Mission Log.